When I was growing up, my mother and I would say the rosary every day together. Before each decade, she would announce the mystery and the fruit, or virtue, associated with it. I have continued the practice of saying the rosary in my adult life. Indeed, it is one of my favorite devotions and can’t imagine life without it. 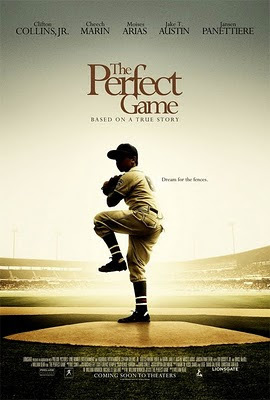 I do remember all the mysteries of the original Joyful, Sorrowful, and Glorious sets of five decades. It took me a while, but I even managed to memorize the Luminous Mysteries established by Pope John Paul II. My memory had long since forgotten the fruits of the mysteries, however. In talking to some friends recently, we realized we were all in the same boat. No one knew the fruits of the mysteries of the rosary – only that there were some! To rectify that ignorance, here are the mysteries of the rosary and their corresponding fruits along with a brief reflection on each one. They offer yet one more good reason to say the rosary. Mary hastened to her cousin’s Elizabeth’s house to help her in her time of need. In what ways can we be of service to our own neighbor’s today, whether we find that neighbor in our own home, in our community, at work, or on the internet? We live in a very consumerist culture. This mystery invites us to detach ourselves from our many possessions. What do we truly need and what is excess? What can we share with others? Mary and Joseph humbly brought Jesus to the temple in accord with Jewish law. Obedience to God and to others can be very difficult, but offers us the opportunity to subjugate our own will to that of our heavenly Father. Not my will, but God’s will be done. Piety is dedication to the Church’s sacramental life and devotions. Mary and Joseph were surprised to find Jesus in the temple. We, too, should be dedicated to our Church and the sacraments. We each receive the Holy Spirit in a special way in Baptism and again at Confirmation. The gifts of the Holy Spirit are wisdom, understanding, counsel, fortitude, knowledge, piety, and fear of the Lord. We need only ask the Holy Spirit for help and help will be provided. Mary encouraged her Son to perform his first miracle at the Wedding at Cana. 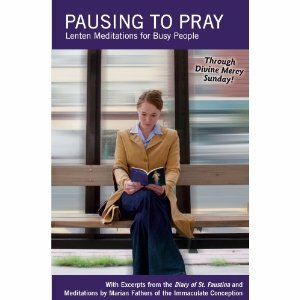 She simply told the servants to “do whatever he tells you.” She helps us in a similar way – always pointing us to her Son and interceding on our behalf. We need only to turn to her and ask for help. Jesus spent the active years of his ministry preaching and performing miracles to proclaim the Kingdom of God. He asks us to express sorrow from our sin, turn away from sin, and trust in God. Jesus gave three of his closest friends a glimpse of His glory at the Transfiguration. We, too, are called to holiness, and to ultimately live in glory in heaven. But, we need to want it and we need to want it more than what the world and the devil attempts to offer us. Jesus, both fully human and fully divine, suffered immensely in the garden. He knew what was coming and he was terrified. He begged His Father to spare him, but submitted Himself fully to His will. We, too, are called to do this. Mortification isn’t popular these days, but making small sacrifices and offering them up can be a great help to one’s spiritual life. There is an opportunity every day to sacrifice and to suffer in some small way. Jesus remained resolute even as he was being made fun of. Do we have the courage to stand up for our convictions even when we are being laughed at? Whose opinion matters more – God’s or those who surround us? Patience is something we all seem to have difficulty with. Jesus patiently carried his cross through the streets of Jerusalem on the way to his Crucifixion. We can look to him for help when we are tempted to lose our patience. Jesus gave up everything for us on the cross. His took on the sins of the world, past, present, and future, and died for our salvation. We need to be so thankful for that gift. At the same time, when we are asked to die to ourselves and put others first, we can look to the cross for the example of total self-giving. We hope for a world that is better than this one. We desire to live forever with Jesus in heaven. May that hope help shape our lives here on Earth. The disciples were scared. They huddled together in that upper room not sure of what to do. Then the Spirit of the Lord came upon them and they were ready to go out and give their very lives in service to God. May the Holy Spirit also grant us that wisdom and love of God. We believe that Mary is the Queen of Heaven, enjoying forever her rightful place next to her Son. May we one day share in her happiness. The vast majority of us will never have the opportunity to take a pilgrimage to the Holy Land, to walk where the patriarchs, prophets, Jesus, and the apostles traveled. Thanks to this amazing work by Eva Marie Everson and Miriam Feinberg Vamosh, however, we are all able to appreciate the beauty and history of this pivotal geographic area. 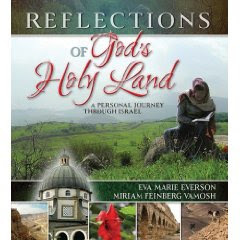 In Reflections of God’s Holy Land: A Personal Journey Through Israel , Everson, a Christian, and Vamosh, a Jew, combine their knowledge and appreciation of the Holy Land to create an incredibly beautiful, informative book. “Reflections of God’s Holy Land: A Personal Journey through Israel” is a book to be savored and studied. 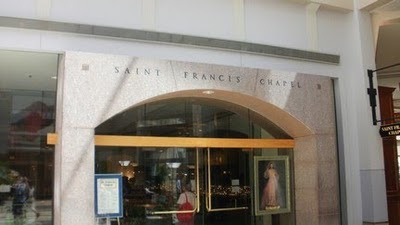 It provides an armchair pilgrimage to the holiest of lands.